Whether you are a seasoned backcountry vet taking your first day at the pass, or completely new to the backcountry it’s most helpful to take some time to get your bearings on what’s what at the pass. There are numerous places within a 15 minute skin from the pass that could be disastrous if you were to end up there on accident on the wrong day. Unless touring with someone else who is familiar with the pass the first two laps I would recommend would be one lap to tree line on the east side and back down to the parking lot via the open slopes directly below you and one lap up to the top of the rock pile on the west side the following the main artery down hill back to the parking lot (pay attention to where you came up from because it’s not quite as direct with the fall line as the east side). 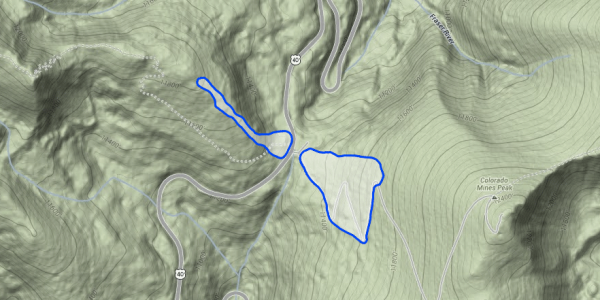 Doing these two laps will help you get oriented, help you gain an appreciation of the scale surrounding you (and figure out how long it takes you to travel relative to the size of the terrain), all in fairly safe terrain with easy route finding. Continuing to get your bearings my next move would be to head north off the pass down to the first switchback skiing either Hells Half Acre or Shop Chutes. 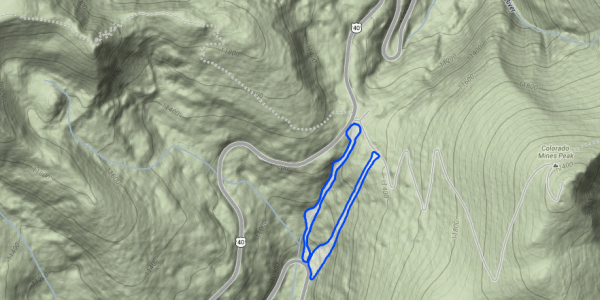 This run is short and you will need to car shuttle, hitchhike, or skin back up to the parking lot. If it’s mid winter (or the base is ~30+ inches) the next two areas I would recommend to explore would be the 90s and the terrain on the south of the pass. 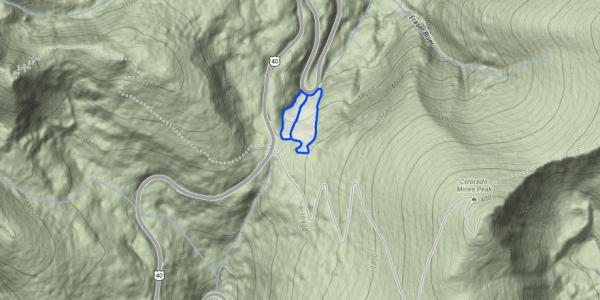 You can drop right off the south end of the parking lot following a streambed down a line called “Hoop Creek” this is also fairly safe from an avalanche perspective and would be difficult to get lost on. 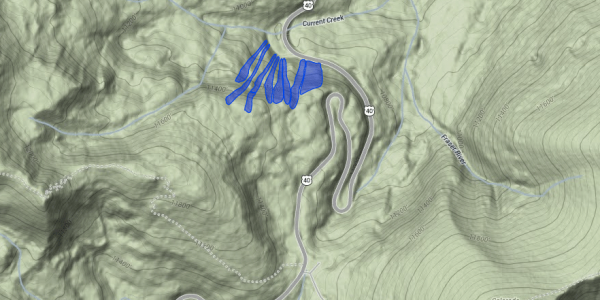 Another straight forward alternative is “Telegraph” which follows a set of phone lines down to the same place, to access this hike up the summer road for a couple hundred yards until you see the telephone lines downhill from you. These will both bring you down to a switchback on the south side of the pass where you will need to arrange a car shuttle or plan on hitchhiking back up. On a busy day there can be dozens of people here hitchhiking, which makes it a headache, so plan accordingly. If you head north from the pass on highway 40 for a few hundred yards you will notice a gate and what appears to be a road heading up and left as you face downhill. You can follow this road to immediately before the SNOTEL station. Before you get to the SNOTEL site you will notice the aqueduct heading to the right into the trees. If you follow this it will contour around and open up into an area called the 90s. These runs can and will slide so be careful. The skiers rightmost lines here are fairly rocky so unless the snow is deep you will want to keep traversing along the aqueduct left until you see something that looks good to you. These lines will bring you down to the Current Creek turnout where you will also need to either arrange a car shuttle or hitchhike back to the pass. These five runs should take you most of a morning and give you the beginnings of some good perspective on the terrain at the pass. You will have been to the four most popular areas to start or end tours. And hopefully will be able to orient yourself better in terms of knowing what terrain you would want to shoot for or what terrain you want to avoid. The two places closest to the pass that you don’t want to accidentally find yourself are Rush Cliffs (West Side) and High Trail Cliffs (East Side). There are fun lines through both of these in the right conditions, but there have been people who have gotten disoriented and gone through the wringer in both of these lines on accident as well. This entry was posted in Conditions, Resources and tagged 80s, 90s, cape canaveral, east side runs, Flume, Hell's Half Acre, hoop creek, launch pad, Mainline, outlaw, rock garden, Shop Chutes, telegraph, top secret, vigilante. Bookmark the permalink. Follow any comments here with the RSS feed for this post. Post a comment or leave a trackback: Trackback URL.